You are currently browsing the tag archive for the ‘plant intelligence’ tag. Many science fiction stories deal with aliens, either aggressive sentient beings set to grab all Earth’s resources for their own, or beings we encounter in our own space exploration with whom we establish friendly communications and accord. Personally, from our experiences on Earth, I think we tend to fall into the first category, but hope we might eventually reach the second. We do try. As self-appointed most intelligent species, our learning curve has been dismally flat in inter-species communications. Of the thousands of species living with us on this planet, we have only managed to instill communications on a few, a process called training. However, though we may understand our pets’ behaviors, we have never established true communications with them. How do we expect to communicate with completely alien species if we cannot do so with Earth species, say, like trees? For the most part, we love trees. They grow into majestically beautify forms that inspire our imaginations. We treasure their shade, they increase the value of our property. We appreciate their lumber for its structural strength, the beauty of its grain in products we make from it, and for the fuel it provides to warm us. We don’t believe trees intelligent because we’ve never discovered brain or nerve tissue in their physiology. However, even that is changing. Consider the paper Aspects of Plant Intelligence and another paper on the consideration of that topic. Then consider some commonly known facts. Trees clean the environment. They remove carbon dioxide from the air, and poisons from the soil. They control erosion and clean water. They can protect their own domain (soil), often changing it to their own specifications. They react to changes in their environment to preserve their existence. They make their own food. And they leave a long lasting, un-technical record of their existence (tree rings). So just how intelligent are we? Plus trees outlive us by many years. 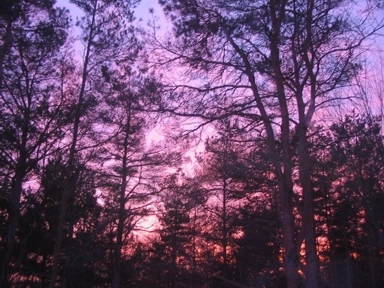 The short-lived trees often reach between 100 and 150 years. Not so much greater an age than us, but definitely longer. The longest-lived trees often outlast us by hundreds or even thousands of years. If you check out the link just given, note Prometheus, the Bristlecone Pine. Prometheus lived for 5,000 years, faithfully recording the Earth’s history annually. What did we do? We cut it down. Now granted, after Prometheus was cut down, other Bristlecone Pines were saved for the sake of the seniority they hold. Yet you can, hopefully, understand why I doubt our ability to deal with anything alien. Before we deal with outer space, we need to sharpen our learning curve here at home. Goldenburg, E. “n.d.” Last modified 2011, October 08, 5:12:44 PM) Eldan Goldenburg’s lab notebook, notes about my work and other peoples’. Hightshoe, G. (1988). Native Trees, Shrubs, and Vines for Urban and Rural America, A Planting Design Manual for Environmental Designers (pp. 88). Van Nostrand Reinhold, NY: New York. In a post on my fiction blog, Considering Aliens… Like Trees, I mentioned that I thought trees are intelligent, just in a different way we don’t necessarily recognize. Yet, I am always amazed by what I learn about plants (and animals, too). Here is another instance. Strange flower! Echo chamber leaves! Two scientists, Dr. Ralph Simon of the University of Ulm in Germany, and Dr. Marc Holderied of the University of Bristol in England, recently discovered a plant pollinated by bats that grows saucer shaped leaves, or echo beacons, above the flowers to direct a species of long-tongued bats to the flowers. It seems the plants are rare and often distant in locations, even hidden by the foliage of other plants, but these beacons allow the bats to find them twice as fast, increasing their chances of pollination. Drs. Simon and Holderied wrote about their findings last week. Plant uses leaves as sonar dishes for bats. Now, if that isn’t enough to make you considered the intelligence of plants, another report shows a carnivorous pitcher plant found in Borneo that attracts bats with its alluring scent. Does it eat the woolly bats that visit? No. It only traps insects to digest, but bats often perch on the rim of the ‘pitcher’ part of the plant’s flower, and while perched, the bats poop into the pitcher. Yep. The plant gathers fertilizer (nitrogen) in the form of bat guano. The more successful the plant is as a bat toilet, the richer its leaves are in nitrogen. Isn’t the world a wonderfully amazing place? I’ve discussed the intelligence of plants and communicating with aliens. (I write scifi/fantasy so this has to interest me!) In our changing world, this is a skill we might have to learn and could start by practicing on plants. Much to my amazement while reading The Week magazine, I discovered I’m not the only one who believes in plant intelligence. (Okay; I know this depends on your definition of intelligence, but this is also a matter of considering exactly what intelligence causes to happen. Do I know plants don’t write fiction or contemplate philosophy — yes, probably.) Investigations have shown certain evidence that plants might not only be able to talk to each other, but also wage high-tech chemical warfare. Three have researched how plants use sound. 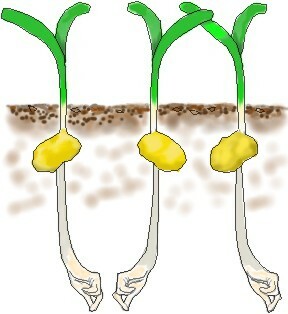 Botanists in Australia, Britain, and Italy confirmed that the “young roots of corn made regular clicking sounds. They also found that young corn roots suspended in water leaned toward the source of a continuous sound emitted in the region of 220Hz, which is within the frequency range the same roots emitted themselves.” Though they don’t know how these sounds are made, or what they mean to the plants, they do acknowledge the plants respond. So, while searching the web, you might discover more facts besides the sonar leaves of the Cuban plant, Marcgravia eveni. For instance, when Giraffes eat the leaves of acacia trees, the leaves munched upon emit a volatile chemical that alters the chemical balance in other leaves that turns them poisonous and unpalatable. The Giraffes stop eating the leaves. Bracken fern, like the eucalyptus tree, have developed methods to survive wild fires, moreover they both also encourage those fires to get rid of their competition. How about some proof plants recognize their own species? Yep. Some seem to do so. 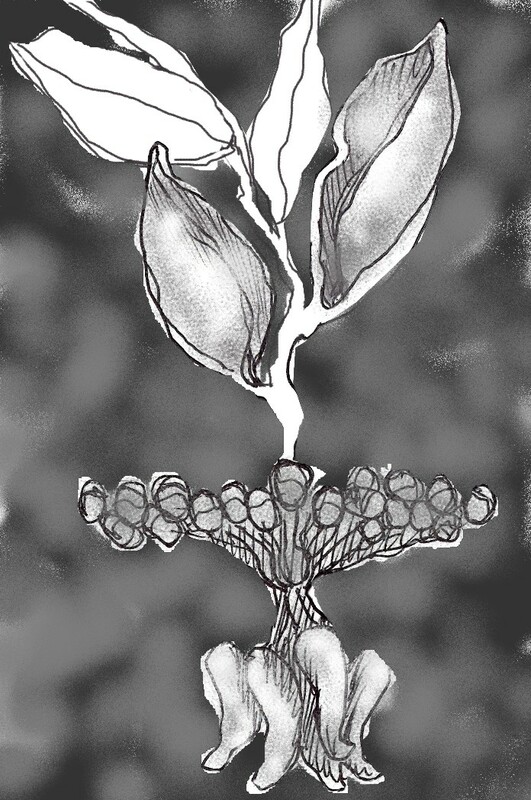 And how about orchids that have altered their scent to that of the female sexual hormone of the pollinating insects? Yep. True. Smart? I think so, but there is so much more. So give a few snaps for those smarty-pants corn seedlings!